Is the MBA degree a victim of its own success? More than 191,000 U.S. students graduated with advanced business degrees following the 2011-12 academic year, per Forbes. They accounted for approximately 25% of all graduate school degrees conferred in the United States, nearly triple the 1970-71 proportion. The next most popular advanced degree, a master’s in education, accounted for less than 24% of all graduate degrees in 2011-12. Though surveys suggest the majority of MBA holders remain satisfied with their degrees, signs of an MBA glut are everywhere. According to Jordan Weissmann of The Atlantic, American universities produced 74% more business degrees in 2011-12 than 2000-01. Meanwhile, business school tuition rose 24% between 2009 and 2012, despite slight declines in pay for newly minted MBA graduates. Today, top-tier MBA programs charge full-time students $70,000 or more per year. 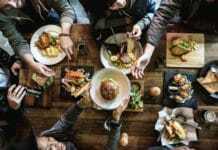 Add in extras like student health insurance, room and board, and program materials, and you’re looking at $100,000-plus in annual out-of-pocket expenses. Dorm-dwelling members of Harvard Business School’s class of 2020 can expect to pay more than $109,000 per year, before scholarships and need-based financial aid, per HBS. But the outlook isn’t all bleak for business school grads. Glut or no, MBA programs afford unmatched networking opportunities, confer invaluable credibility that can unlock professional doors, and boost lifetime earning power for most graduates. Getting an MBA might be one of the smartest – and most lucrative – career decisions you ever make. Full-Time MBA. Most full-time MBA programs last two years from start to finish. Students are expected to live on or near campus. Credit requirements vary by program, but the workload is generally strenuous: two to four hours of class or group work per day, plus several additional hours of reading and homework. Most business schools discourage full-time MBA students from working for the duration of their programs, though committed students can probably squeeze in part-time consulting or freelance work. Remember to factor forgone earnings into your cost calculations – at $80,000 per year in total out-of-pocket costs and $100,000 per year in forgone earnings, your MBA costs $360,000 out the door. Part-Time MBA. Part-time MBA programs last at least three years from start to finish. They’re designed for working students based within commuting distance of campus, though correspondence (online) options are increasingly plentiful. Credit loads are flexible – you can take on a near-full-time workload if you have the bandwidth, or take it easy with just a few credits per semester. Tuition costs are comparable to full-time MBA programs, but the out-of-pocket impact is more manageable due to the longer time frame and lack of room and board costs. Plus, part-time MBA students don’t have to quit working while they’re enrolled. Online MBA. Online MBA programs are even more flexible than part-time programs. They generally last two to three years, assuming deliberate speed, but can be extended to accommodate career and family obligations. By definition, there’s no residential component or geographical restrictions. 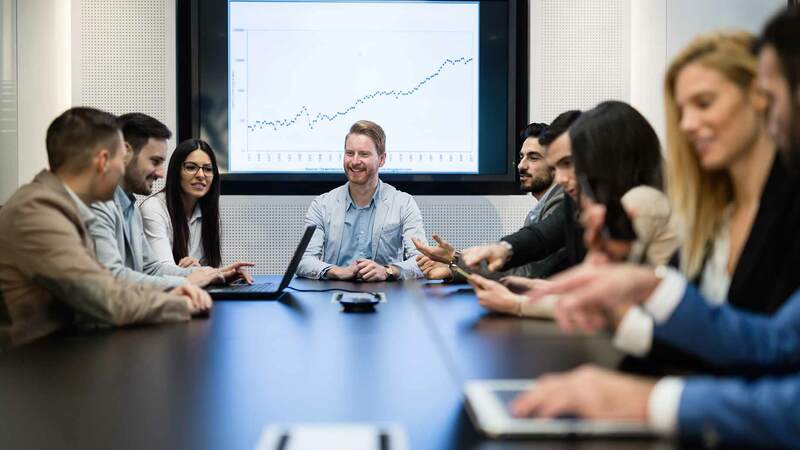 Program quality is an important consideration here, as many online MBA programs aren’t particularly well-regarded in the C-suite. On the other hand, plenty of prestigious business schools offer online MBAs with every bit as much cachet as the real thing: Princeton Review’s top 25 online MBA programs list includes top schools like the University of North Carolina – Chapel Hill and the University of Southern California. Costs vary by credit load, with final costs roughly comparable to part-time MBA programs. Early Career MBA. Early career MBA programs last two to three or more years, depending on format. They’re designed for students with limited work experience. If you’re planning to take just a year or two off after graduation, or want to get it over with and plow straight through, this is your jam. “True” early career MBA programs are distinct from mainline MBA programs that readily accept younger students. You can hold out for a true early career program or opt for a novice-friendly mainline program. In either case, look for Princeton Review’s key early career MBA attributes: low or nonexistent work experience requirements, active mentorship programs, hands-on curriculum, strong career placement services, and a robust alumni network. Executive MBA. Executive MBAs are flexible, accelerated programs for established professionals who’ve been in the workforce for at least five years, and usually longer. A typical program runs one to two years, meeting primarily on weekends and evenings, though residential programs aren’t unheard of. Executive MBAs are popular with high-potential candidates whose employers – current and future – want to see their expertise formalized. It’s therefore not uncommon for employers to cover executive MBAs’ tuition costs. Those costs can be steep – in 2014, Poets & Quants found 40 executive MBA programs charging more than $100,000 total tuition, and the count is almost certainly higher today. Global MBA. Global MBA programs are designed for executives and senior leaders whose work quite literally spans oceans. Larger business schools run global MBA programs at international campuses, creating ready-made opportunities for unattached professionals to study abroad. You’ll find plenty of global MBA programs stateside too. Programs generally last one to two years. Costs are comparable to executive MBA programs. These figures don’t include room and board or other out-of-pocket expenses, nor do they incorporate forgone earnings. Unlike certain other professionals, MBAs aren’t members of a closed professional guild. There’s no parallel licensing system for MBAs – no state bar or board of medicine. MBAs don’t “practice” as doctors, lawyers, or accountants do. Very few jobs absolutely require an MBA. Plenty of C-suite executives lack graduate business degrees, for instance. Execs who work their way up a single corporate ladder might never have the opportunity or inclination to pursue such degrees, and their bosses might not penalize them for it. That said, plenty of employers require or prefer MBAs for specific positions. Larger, publicly traded enterprises are more likely to be sticklers about this. If you’re applying for a senior or executive vice president role at a Fortune 1000 company, you’d better have an MBA. MBAs are particularly prized by investment banks and management consultancies, whose objectives align nicely with MBAs’ skills. Even those down on MBAs – and there are plenty – agree that MBA programs are great for participants’ professional networks. And you don’t necessarily have to finish your MBA program to reap the networking benefits. LearnVest founder Alexa von Tobel never finished her Harvard MBA, but that didn’t stop her from raising nearly $70 million, per Crunchbase. According to research from Graduate Management Admissions Council, 79% of employers expected to hire MBAs in 2017. Nearly 60% expected base salary increases for MBA grads to outpace the rate of inflation. And nearly all agreed that MBAs added value to their organizations. These encouraging stats continue a years-long trend. Though your personal marketability depends on more than your MBA, getting a graduate business degree definitely tilts the playing field in your favor. “We…calculated the projected 10-year salary of someone without a business degree and subtracted that total from the projected 10-year salary of a business school graduate from each of the top 50 schools. The schools are ranked according to the difference between their 10-year new salary and their 10-year pre-MBA salary.” The ranking built in a 3% annual across-the-board salary increase. ROIs at elite business schools like Stanford Graduate School of Business and Harvard Business School exceeded 300%. ROIs at well-regarded state schools like Arizona State University exceeded 250% – at considerably lower out-of-pocket cost. For more context on raw annual earning potential, check out U.S. News’ post-graduation earnings rankings for elite U.S. business schools. Every MBA program is different. Some tout lucrative or fashionable subfields, such as social entrepreneurship, that can pay dividends for students’ careers. Applying for an MBA program that offers specific credentials or opportunities to specialize is a great way to bolster your CV without applying for jobs that promise real-world experience. Depending on your current credentials and skill sets, getting into an MBA program might be easier than getting such a job anyway. Your two-year MBA interlude – longer, if you opt for part-time or online – is a once-in-a-lifetime opportunity to hit “pause” on your career. The chance to reflect on where you’ve been and where you’d like to go is invaluable. So is the prospect of getting “outside” your specialty and connecting with talented people with whom you’d ordinarily have no professional contact. You might end your MBA program in a completely different professional space than you expected. If your medium-term goal involves founding and scaling a new business, or at least getting in on the ground floor, think twice about devoting a year or more to your MBA. 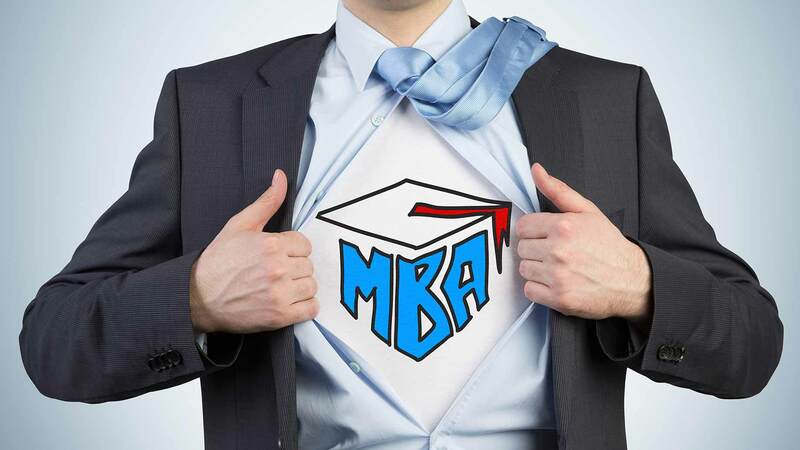 No MBA program is an adequate substitute for real-world experience. “MBAs rarely make great founders but they’ll often make a great 200th hire,” he adds. Many business schools have in-house entrepreneurship programs that cater to entrepreneurially minded students. In Allen’s hometown, the Holmes Center for Entrepreneurship at the Carlson School of Management is a vibrant startup nexus whose MN Cup competition helps countless early-stage enterprises gain traction. But it’s not closed to nonstudents – any ambitious founder can apply without coughing up two years’ tuition. Few youngsters aspire to semi-anonymous careers in investment banking – at least, until they learn how lucrative the i-banking track can be. But Allen cautions against a single-minded pursuit of financial comfort. Happy MBAs are passionate about what they do, and more likely to be successful in the long run. This is self-evident. Yes, top MBA programs promise impressive returns on investment, but it takes years to realize those gains. In the meantime, you’re out tens of thousands of dollars per year. If you’re committed to your likely post-graduation career track, per Allen’s advice, then cost in and of itself isn’t reason to mothball your MBA dreams. But it’s certainly prudent to delay applying until your financial position is stronger. If you want to practice law in the United States, you’d better have a law degree. (Except in Arizona, but that’s another story.) If you want to practice medicine in the United States, you’d better have a medical degree. If you want to run a company of your own one day, you’d better…work hard and get lucky. Nowhere is it written that you must have an MBA to gain entry to the C-suite. And governments could care less whether the folks running locally domiciled companies have advanced management degrees, so long as they don’t cheat on their taxes. According to Heidrick & Struggles’ “Route to the Top 2017” study, “just 35% of U.S. CEOs have an MBA, which is down 42% from the year before.” Fortune 1000 companies may be more discerning about C-suite candidates’ credentials, but it’s safe to say that you won’t be blackballed by top companies simply because you lack an MBA. Every business school pays lip service to diversity. Most have made real strides toward diversifying their MBA programs, which until relatively recently were largely the province of white men. But progress hasn’t come quickly or uniformly, and much work remains to be done. In fall 2016, per U.S. News, just 36.8% of matriculating full-time MBAs were women. Plenty of schools do better than this, and men are in the minority at some (again, per U.S. News). But alumni network composition lags graduating class composition by years or decades, keeping networks of “old boys” entrenched long past their expiration dates. Look for business schools that back up progressive rhetoric with demonstrated support for women students and alums. Location and Geography. Do you live within commuting distance of campus? If not, are you willing to relocate? Or would you prefer to pursue an online MBA from the comfort of your home anyway? 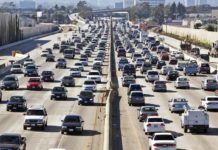 In a major metro area, you’ll likely have several business schools to choose from; otherwise, you’ll probably have to relocate or study online. Cost. This is a big one. 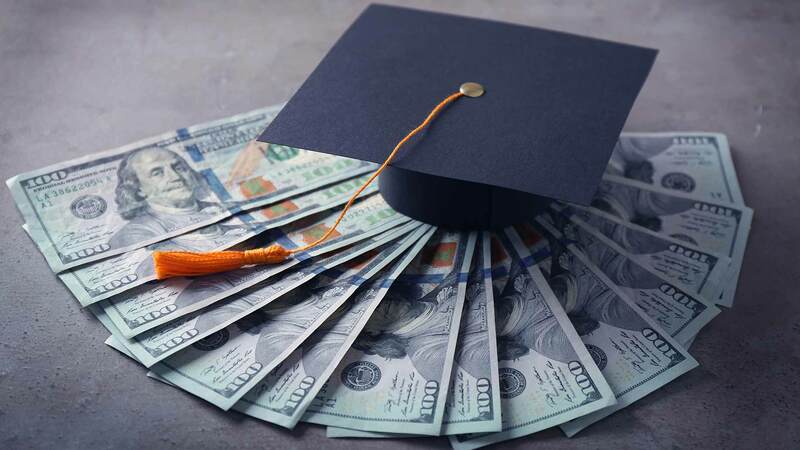 Reputable MBA programs generally pay for themselves within a few years, but that’s a long time to wait for students with limited savings and low immediate earning potential. If you don’t qualify for adequate financial aid, you’ll need to filter your MBA choices by cost or stretch out your part-time program. Forgone Earnings. Quitting a promising job and forgoing two years of solid income to pursue a full-time MBA isn’t possible – let alone practical – for many MBA candidates. The calculus is different for younger students, those with ample personal savings, and those who qualify for generous scholarships or financial aid packages. Post-graduation Earning Potential. Research each candidate institution’s average starting salaries for recent graduates. Keep in mind that industry and concentration affect compensation, among other factors. 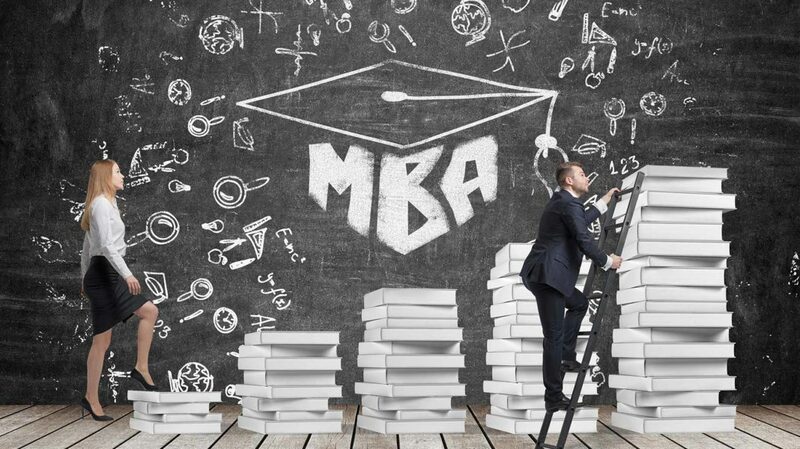 Check U.S. News’ roundup of top MBA program grads’ post-MBA earnings for a reality check. Your Work Experience to Date. If you’re fresh out of undergrad, you can safely cross off those executive and global MBA programs. They’re for seasoned professionals. Likewise, if you already have ample experience managing teams, early career MBAs and even mainline MBA programs might seem redundant. Program Format. Beyond forgone earnings, consider the implications of going back to school full-time. Will side projects, such as consulting or work on a new software solution, suffer? What about your parental duties, if any? Your work-life balance? Going part-time or online doesn’t mean you’re not going all-in on your MBA – you’re just doing it on your own terms. Program Focus. Many MBA programs offer formal concentrations in specific subfields or business disciplines, such as social entrepreneurship. Such programs attract highly qualified, well-connected faculty and advisors who may be able to open doors for you down the line. Even if they don’t directly connect you with your first post-graduation job, future employers won’t mind seeing those concentrations on your CV. Selectivity. Set appropriate expectations. Speak with a mentor or guidance counselor (if available) for perspective on where (and how high) you should aim. You can get a rough sense of the competition from U.S. News’ list of MBA programs with the most applicants. Pay attention to other metrics, too: standardized test scores, work history, academic record. Though admissions processes are proprietary, business schools don’t keep broad-strokes data like this under wraps. Alumni Network and Post-graduation Job Placement. How active is the program’s alumni network? Look for programs with well-connected alumni who remain involved with their alma mater and take active interest in current students’ prospects. Promising indicators include frequent local alumni networking events and deep alumni benches at employers on your post-graduation shortlist. Check each candidate school’s post-graduation job placement rates too. Most business schools happily tout these figures, and it’s a red flag when they don’t. So, you think you have what it takes to get an MBA – and expect the move to pay dividends for your career. Here’s what you need to know about preparing and applying for graduate business school. Business schools intentionally select students from a range of academic, cultural, and socioeconomic backgrounds, so pigeonholing a “typical” MBA student or pre-MBA track is difficult. For instance, it’s no longer the case – if it ever was – that business schools only accept applicants with economics or undergraduate business degrees. Game Out Business School and Beyond. No matter how strong your qualifications, you can’t simply wake up one morning and decide to get an MBA. You’ll want to start thinking about the process at least a year before you turn in your applications. Take a realistic look at your current professional situation and likely trajectory during the next five to 10 years. Talk to your boss, colleagues, professional mentors. And do some soul-searching. You’re trying to determine whether an MBA would significantly advance your career – and, once that’s answered, whether you have the appetite to pursue one. Remember that business school admissions committees have seen it all, and they can spot someone whose heart isn’t in it from a mile away. Bolster and Update Your CV. Bring your CV up to date with relevant work, academic, and extracurricular experience. Add all relevant competencies and soft skills. Look for gaps or weak spots, such as missing certifications common among your peers or limited leadership experience. Work to shore those up. Look for Programs That Fit Your Interests and Selection Criteria. Research candidate programs. Filter by broad selection criteria first. For instance, if you’re fresh out of undergrad, you can safely skip programs designed for more experienced applicants. If you’re not willing to relocate beyond a defined geographical area, you can throw out another huge crop of potentials. In the remainder, home in on programs that complement your interests, specialties, and career goals. Study for the GMAT or GRE. Most business schools accept both exams. Take a diagnostic test for each: the GMATPrep software and Magoosh GRE diagnostic quizzes are both free. Go with whichever test you score higher on, assuming your likely candidate programs accept it. Allocate at least three months and 100 study hours to preparation. Take at least two practice tests along the way, and consider switching tracks if you don’t show marked improvement. Professional prep courses help, but they can be expensive. Shoot for a test-day score of at least 20 points higher than your target schools’ entering class averages. Register for the GMAT or GRE. Set your test date well in advance of any application due dates. You want to have more than enough time to correct for a worse-than-expected performance without delaying your application. Line Up References. Approach colleagues, bosses, and academic mentors about writing reference letters on your behalf. Line up confirmed references at least three months prior to your application due dates – you want them to have as much time as possible to compose the letters and as few excuses as possible for backing out. Put Together Your Case. Devote serious thought to the case you’ll present. Remember, the admissions panels know nothing about you. A compelling personal story can compensate for a less-than-stellar GMAT score, academic record, and professional resume. Don’t just recycle your last job interview or undergrad application essay. Business school is an entirely different beast. Learn Each School’s Process and Deadlines. Know each school’s application process and deadlines. Larger schools can have as many as three application rounds. Your chances of admission may be higher during the first round, particularly if you commit to the early decision track – though that locks you in if you are accepted. Endure the Waitlist. There’s a good chance you’ll land on at least one waitlist. This is particularly likely if you apply during the first admissions round, when waitlist rates tend to be higher. U.S. News has a good overview of what to do – and what not to do – when you land on a waitlist. Every business school admissions office has its own proprietary selection process. While these selection criteria are all but universally scrutinized, each office applies its own particular weights and emphases. Talk to past applicants and students to get a general sense of what to expect from candidate schools. Appropriate Work Experience. Make sure your job tenure and experience is within the appropriate range for your chosen MBA. If you’re pursuing an early career MBA, you won’t need much. Demonstrated Leadership Experience or Potential. You’ll need to show leadership experience commensurate with each program’s expectations. Leadership requirements are much more stringent for global and executive MBAs than for mainline and early career MBAs. Plenty of mainline and early career applicants lack formal workplace management experience, though most have suitable extracurriculars. Adequate Standardized Test Scores. Check each program’s average GMAT or GRE score, then aim higher. A below-average score won’t automatically disqualify you, but it won’t do your application any favors either. Adequate Academic Record. Mainline and early career MBA programs pay closer attention to undergraduate academic performance. If you’re in a position to apply for an executive MBA program, your college grades shouldn’t matter too much. Still, confirm each program’s expectations. Strong Communication Skills. Your personal statement, application essays, and interviews should demonstrate strong written and verbal communication skills. Well-Defined Career Plans or Interests. Your application materials and interviews should show clear evidence of forethought and intentionality in your prior career moves and future plans. It might be enough to say, “I’m looking forward to discovering my passion,” in an undergrad interview, but that won’t cut it in an MBA gauntlet. You’ll also need to show self-awareness around your accomplishments, skills, strengths, and weaknesses – and be expected to communicate it succinctly. Strong Professional References. When seeking out professional references, aim as high as you can: a senior academic officer at your undergrad school, your current CEO or company president, a local elected official or community leader. Worst case scenario, your top-shelf choices all say “no,” and you’ll set your sights lower. Don’t let anyone pressure you into getting an MBA – or dissuade you once you’ve decided to go for it. “‘Should I get an MBA?’ isn’t a question that anyone can really answer for you unless they help you draw a decade-long decision tree on a whiteboard,” says Casey Allen. If you do poll your friends, family, and colleagues about the relative merits of getting an MBA, take their responses with a hefty dose of salt, he adds. You know yourself better than anyone. Do you have an MBA? Was it worth the trouble?